A charming one piece 1860’s taupe silk dress that has been de-accessioned from the Metropolitan Museum of Art. The bodice yoke is trimmed with a self fabric ruffles. 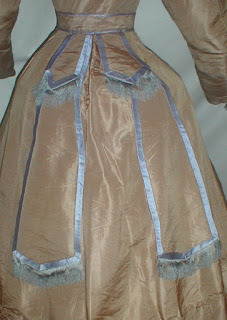 The top of the sleeves and sleeve cuffs are trimmed with lilac satin and lilac silk fringe. 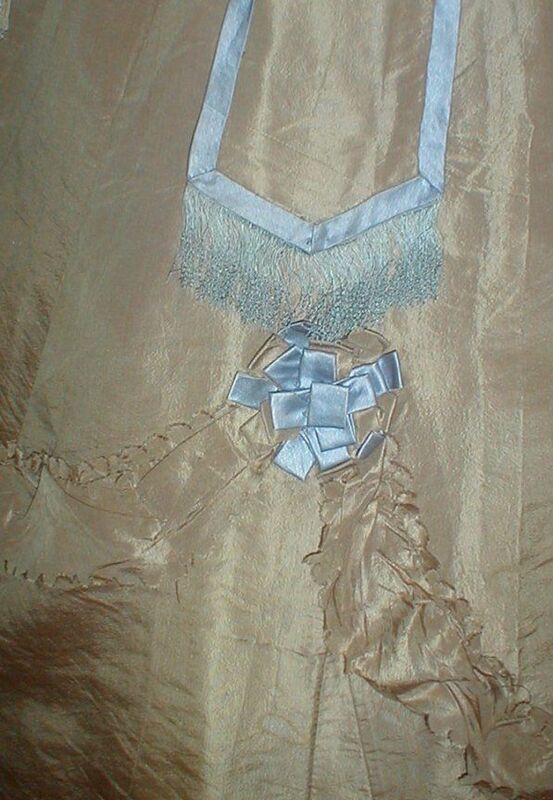 The attached belt has a center lilac satin rosette at the waist. 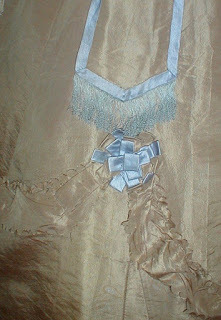 The belt has long streams that are each trimmed with satin rosettes and lilac silk fringe. 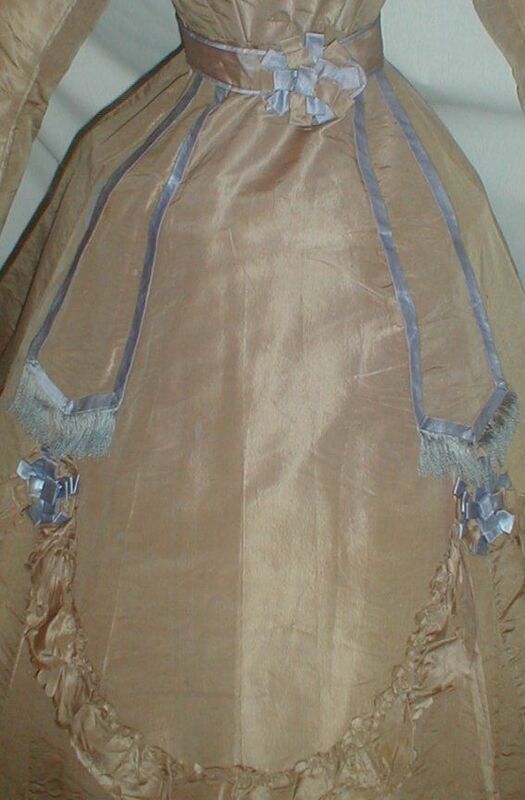 The skirt is decorated with self fabric ruffles. 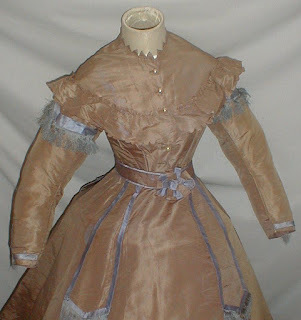 The bodice is lined with cotton and has a pearl button closure. There is one missing button. The dress is in good and sturdy condition. There is a small split near the waistband that will need minor re-stitching. There are no other holes or splits. 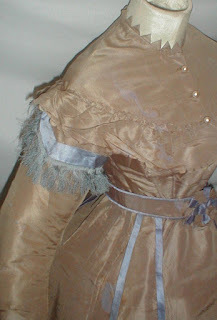 There is some light underarm discoloration and some water spotting on the sleeve, front of the bodice and skirt front. (See photos.) 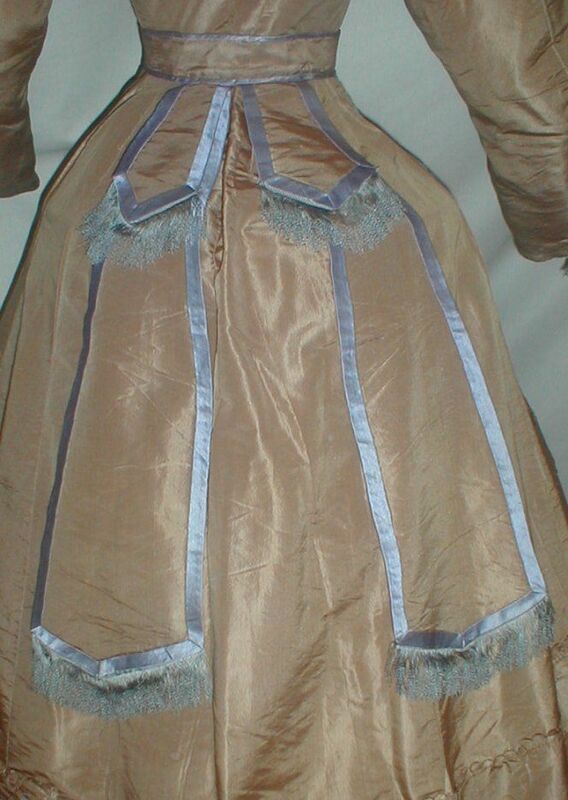 Bust 34 Waist 26 Skirt length 39 back length 42 Width at hemline 132. 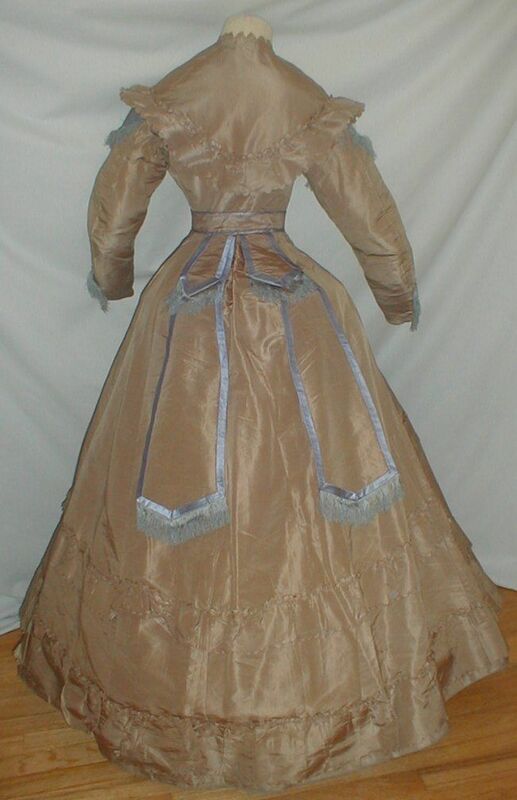 Most likely 1866 or so based on the style. The belt sash was popular in the mid to late 1860's and the waistline of the dress is still almost normal in height.